Custom pricing for our mobile escape room is based on level of team facilitation described below, location, and number of people. Complete the quote request form and we will generate your custom quote immediately. Please contact us if you have any general questions about this exciting team building event. Level You Are Interested In? FacilitatedFocus: Escape Room + DiSCFun! Pre-Event Meeting: Two weeks before the event Bustout Colorado staff will meet with company leaders to strategize and select key focus areas for the event. Escape Room Experience: The day of the event each team receives a 15 minute best practices discussion and 45 minutes to bust out of the escape room while Bustout Colorado staff observe their progress through a live video feed. Post Event Team Facilitation: Once finished the team and facilitators will engage in an eye opening hour long discussion that creates lasting change. This event stays in the minds of your employees for years to come. The lessons learned in this event are remembered for just as long. 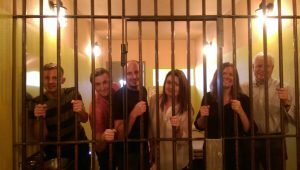 Focus: Escape Room + DiSC Profile – Combining a customized DiSC personality profile with an Escape Room experience is the ultimate in team building. 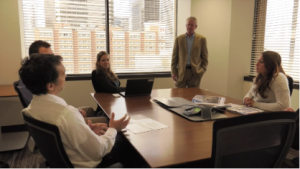 First, the Bustout Colorado staff will coordinate with all the members of your team to complete a DiSC personality profile prior to the event. We will then customize a two hour learning experience where all team members can learn about the DiSC styles as well as the specifics of their teammates. This takes communications and playing to each other’s strengths to the next level. Teams then use this new knowledge to knock it out of the park in the Escape Room Event. It’s a powerful combination. DiSC Assessment: Approximately three weeks prior to the event our staff will work with your team to coordinate everyone taking the DiSC assessment. Those results are then sent to our staff for inclusion in a custom DiSC training. Pre-Event Meeting: Approximately one week before the event our staff will meet with company leaders to discuss the DiSC results as well as strategize and select key focus areas for the event. 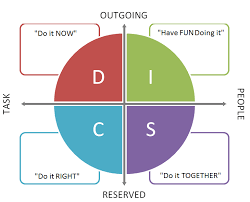 DiSC Training: Our staff and your team will spend approximately two hours going through a high-energy DiSC training session to learn about the different DiSC styles as well as an in depth look at the results of your team. Together we strategize how to improve teamwork. Escape Room Experience: Immediately we put their new learning to practice. Each team receives a 15 minute pre-brief and then has 45 minutes to bust out of the escape room while our staff observes their progress through live video feed. Post Event Team Facilitation: Once finished the team and facilitators will engage in an eye-opening hour long discussion that creates lasting change. This event stays in the minds of your employees for years to come. The lessons learned in this event are remembered for just as long. FUN! One Hour Event – Why go out for another lame bowling or putt putt golf event. There’s nothing more fun than team building in an escape room – Just ask your friends!